One of the most memorable videogame moments of my life was when I first picked up a PlayStation controller and played Grand Theft Auto III. Anywhere you could see, you could go! You could do anything. 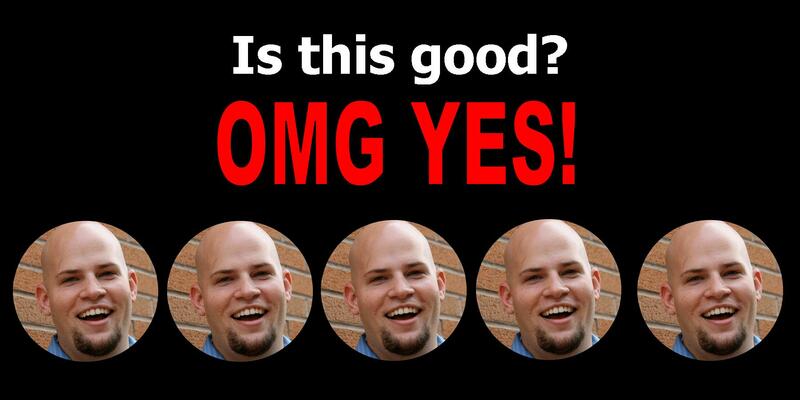 It created the open world game essentially, or at least reinvented it. I never really got into GTA4 but this newest rendition piqued my interested. 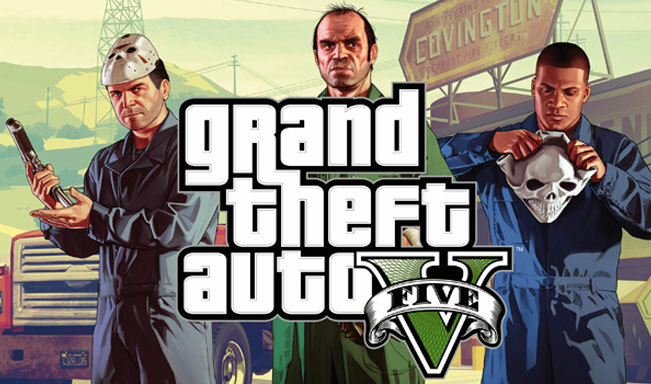 The gist of Grand Theft Auto 5 is that you rotate through three characters and how their lives intertwine. You have Michael (a former bank thief who lives in witness protection), Franklin (a young street smart kid with a mind for making money), and Trevor (a psychologically fragile maniac who lives in the outskirts of civilization). You, as the player, use the three of them to pull off heists, either small or large scale. They each have unique missions to do on their own, which take you all over the city of Los Santos, which replicates areas of the real Los Angeles. The game focuses equally on driving/flying and then shooting, often mixing the two into high-octane races and culminating in giant firefights. I’ll be talking mostly about the single-player experience, with a few footnotes towards the end on my GTA 5 Online experience. Trevor takes a moment to pose. Grand Theft Auto 5 does a lot right. Almost everything. Let me start with the writing. The basic premise is simple-enough but it manages to craft some incredible heists and huge epic moments, but it also manages to infuse subtle jabs and references to real world situations. Taking place in a faux Los Angeles, a lot of jabs are made at Hollywood, materialism, commercialism, celebrity obsession, sexuality, and the economic crisis and its effect (or lack thereof) on our stars. It’s mostly really clever but even the heavy-handed and obvious jokes were appreciated. The fact that we have three characters might have concerned some folks, as it might have confused the story, but I think it was perfect. Michael had family-driven missions, while Franklin had more missions trying to prove himself and work his way up the ranks. Trevor meanwhile gave us a way to experience some of the more outlandish missions, most notably redneck-killing rampages, stealing helicopters from military bases, and taking poor drunk folks to a cult in the middle of the woods for them to cannibalize. Let’s talk gameplay. Driving is super fun and easy to grasp, though the wheels tend to feel like you’re driving on butter sometimes. However, the variety of vehicles and detail paid to how they drive more than make up for the occasional burnout. I struggled with helicopters at first but the flight school option at the airport gave me chances to get better at it. Shooting was pretty easy to learn, as the game’s aim-assistance was pretty spot on. This was helpful because the AI had impeccable aim and the police would always manage to drop me in a second. It felt balanced though, so I never blamed the game for when I would get taken out, it was always a strategic fault of my own. Now let’s talk visuals. This game pushed the PS3 to a place I didn’t think it was capable. Layers would pop in every once in a while, but it was mostly seamless. Having a world this huge and zero loading screens was a huge undertaking and it still impresses me that they were able to create this sense of scope. Water effects were gorgeous and jet skiing or driving a boat down a river was exhilarating. The attention to detail was mindblowing, as I never noticed repeat textures on buildings, everything seemed unique. And having now explored the real Los Angeles, this game completely nails the tone of the city. Driving through downtown at night is just like the real thing. Being stuck behind slow cars on the freeway. Crossing the railroads in cities that remind of cities in east LA. Taking pictures from the faux Griffith Observatory. Driving through the deserts reminiscent of the far Inland Empire. It nailed it all. Absolutely stunning detail and in terms of tone, completely captured the city and its surrounding areas. 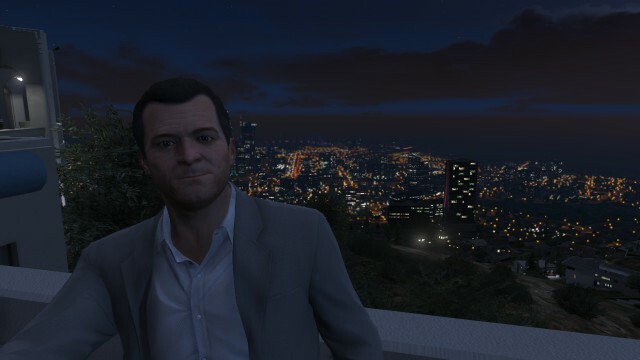 Michael wanted a selfie at the Observatory. Like I mentioned above, the driving could feel slippery at times, often sending you crashing into telephone poles or oncoming traffic. It wasn’t gamebreaking however. I did have a problem with some of the missions and the amount of precision required to complete it. Let me give you an example. I did a trip with Trevor where you dropped off some weapons and I was returning in his plane to the airfield. Well, I didn’t pull far enough into the hangar, so when I left the plane, it said MISSION FAILED: You abandoned the plane. Wait, what? It’s in my hangar, I didn’t abandon it! So I had to redo the whole mission. This happened a few times, as I didn’t land in the exact little yellow circle that the game intended. For a sprawling game that encourages tackling problems in unique ways, it was extremely rigid in key moments. A note about GTA 5 Online. I’m much more of an offline player, so I didn’t anticipated really getting into the online mode, which is accurate to what really happened. I didn’t go online til I completed the offline story. I was first disappointed that I couldn’t create a bald player, so I ended up looking like every other generic player I ran across. Maybe that’s to encourage me to pay for new haircuts? Still, it was a turnoff. Let me give you two moments that summarize my experience. 1.) I began a mission that me and another player were meant to complete. He was in my car and we barreled towards a shootout. About ten seconds in, he decided to jump out of the car (mid driving) and give up on the mission. I was expecting a cool co-op experience where we worked together. 2.) I was paused, looking through my options, and a guy capped me point-blank in the back of the head. I don’t really play open PvP (peer versus peer) games so I’m not used to some stranger infringing on my experience. I like to control my experience and go through the scripted events. Just not for me. I’m sure people who might embrace a more (potentially) chaotic environment might enjoy it a lot, as it seems to have a lot to do, assuming you have amicable partners. Grand Theft Auto 5, even without really experiencing much of the vast online experience, provided one of the best gaming experiences in recent memory. The world is both gigantic but simultaneously beautiful and intricately crafted. Our main characters are flawed and interesting yet still accessible. The heist missions, and some of the side missions as well, provide experiences that define “epic.” There is a lot to do here and Rockstar put tons of effort into perfectly crafting a beautiful and horrific story, combined with a vast world. The content can be very R-rated (even verging on X-rated) but if you’ve got the stomach and mindset for that, there’s a lot here to appreciate. 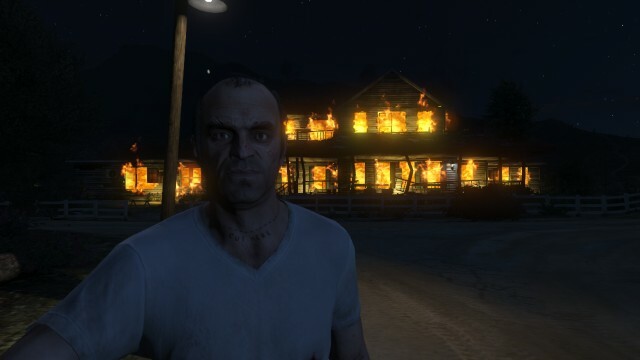 This entry was posted in Gaming and tagged adam ryen daniels, franklin, gaming, grand theft auto 5, grand theft auto 5 review, gta 5, gta5, i am your target demographic, iaytd, los santos, michael, review, rockstar, trevor, video games. Bookmark the permalink.